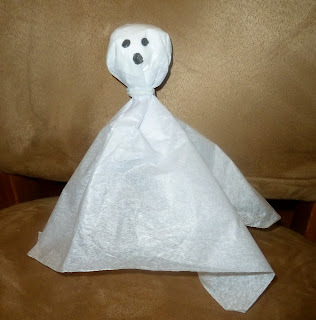 Google+ Mom to 2 Posh Lil Divas: Puffy Paint Handprint Ghost Magnets & Tissue Paper Ghosts for Halloween! 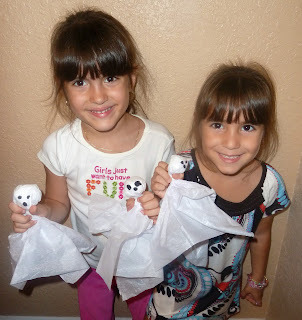 Puffy Paint Handprint Ghost Magnets & Tissue Paper Ghosts for Halloween! I couldn't hold off any longer on our Halloween fun! The Lil Divas were begging for pumpkins, witches, bats, spiders and ghosts! & dive in to all the Halloween fun! 1. 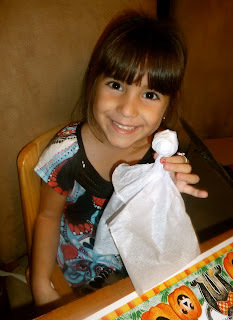 Mix shaving cream and glue to create your puffy paint. I don't measure and honestly it's never come out wrong so this is pretty forgiving. I use more shaving cream than glue but I am generous with the glue so that it sticks well. 2. 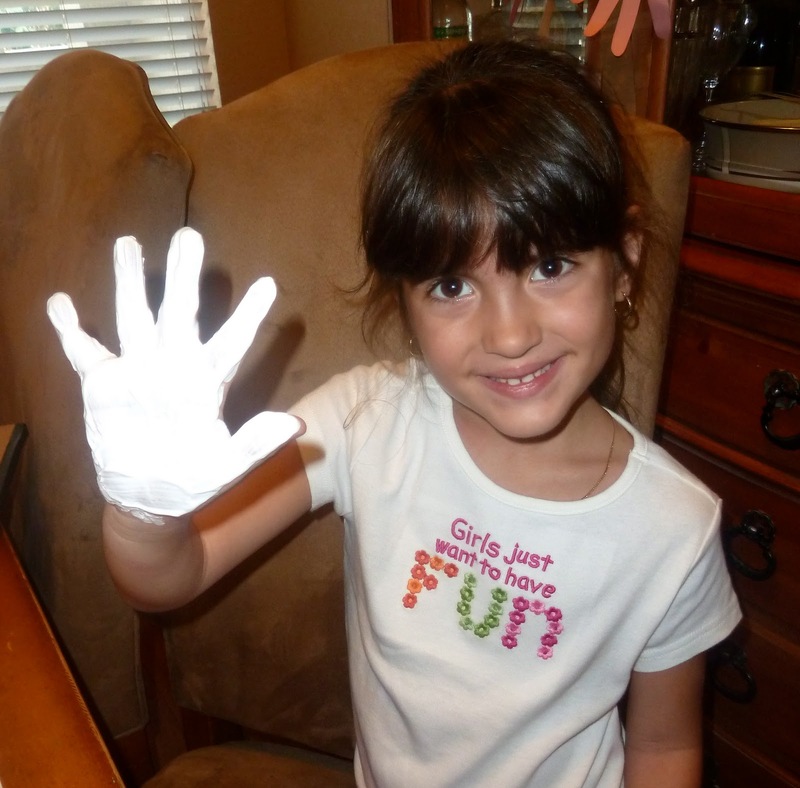 Let child paint their hand - be sure to encourage them to apply puffy paint generously! 3. Press onto the black foam and allow to dry a little but not completely. 4. Add magnets to the back of each foam piece add dates, names, etc if desired. 2. Tie w/pipe cleaner and add eyes & mouth using permanent marker. 3. These little guys make great decorations! I really the puffy paint ghost! They are super cute. What a fun idea to combine the puffy paint, hand prints and Halloween. They came out so cute! What adorable ghosts!! I love the foam ones! Always love seeing you on Kids Get Crafty! These are fun crafts. I just have to try these with me grandsons! Thanks for the ideas and simple directions. We will be surrounded by ghosts! These look great! I love your ghosts!